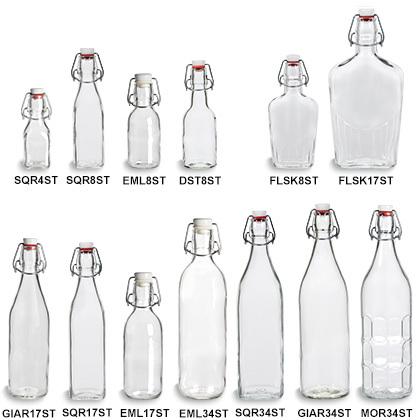 Known as the "keeper bottle", these thick glass bottles are durable and come with a reusable swing top. Use as a glass beverage bottle for water, tea, and liquor. Also good for sauce, vinegar, and oil. All prices include swing top.